Know others who'd love to become a better photographer? And...YES, you're going to get paid for your help! Today more advances in technology mean more people are enjoying photography. With this comes a massive increase in people taking photos, particularly on their smartphones as well as DSLR's. So, there's never been more people who enthusiastically want to learn how to improve their skills, get more from their camera or device and take better and more breathtaking pictures. This latest technology can prove confusing, even to the tech savvy, but it's easy when you're shown how and with our easy to understand terminology, membership in the Click OnLine Photography Course has made it very easy for anyone to understand and grasp the steps required to enjoy the art of taking really good photos! With over 6,500 budding photographers already enrolled in this course, becoming an Affiliate it’s a real WIN -WIN opportunity and a great way for you to generate an income. With over 6,500 current subscribers, Click Photography Course is one of the world’s most popular Online Photography Learning Experiences. All you need do is simply spread the word about Click Photography Course by using "ready made" and specially coded course offers, advertisements, banners and text links. Special links are provided exclusively for your use to make it easy for you promote Click Photography Course on your website, Facebook page, Twitter and your personal emails. Our intelligent affiliate system then automatically tracks the source of every single person who signs up for a Click Photography Course Membership as a result of acting on any of the referral ads and links you place. You'll be paid up to 50% commission for every member who joins as a result of your referral. Even if your contact clicks on one of your coded affiliate links and doesn't purchase for up to three months, you will still be paid commission when they sign up. Yes, referrals are our best form of advertising. Rather than paying for expensive advertising campaigns, our goal share our advertising budget with you and your contacts in the way of a percentage of sales. Here’s the simple steps you need, how it works and, importantly, how you will get paid by simply letting your contacts know about the Click Online Photography Course. Choose the banners or links that you want to appear on your site. Join the team at Click Photography Course today in promoting one of the most popular and entertaining photography learning experiences. We look forward to welcoming you as a valued member of our affiliate team and the prospects of a long term and mutually rewarding association. 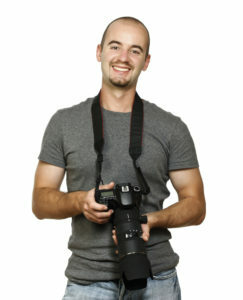 When you are accepted as a Click Photography Course Affiliate, we are committed to helping you maximise your success. You will be joining an elite team who are supplied access to the Click Course exclusive Affiliate Dashboard. Your Affiliate Account will provide everything you need to be a success and to maximise your earning potential! You”ll receive unlimited free support and be provided with all the tools you need for success in helping people take better photos. If you require assistance with links, idea and anything else that will help you to maximise your referral sales, we have a team of affiliate support staff on standby to promptly assist with any help you may require.. Your Affiliate dashboard also provides you with 24/7 access to up-to-date reports so you can measure your success. Real Time Tracking – You have 24/7 access to your affiliate dashboard which provides you with continuous and up to date reporting on how much money you have made. Secure and Accurate Account Monitoring You'll get accurate payment every month when your commissions are due. Access to live data and reports so you can easily keep track of how many referrals you have made, how many tickets have been purchased, and importantly how much you will be paid. Access to exclusive and trackable internet and voucher codes to pass on to your contacts.These codes also contain unique website addresses that can be included in emails, social media or website promotions.The use of these codes also lets us know when sales are generated from your referral.This guarantees you get paid your commission for every single membership sale that is generated from your activities. 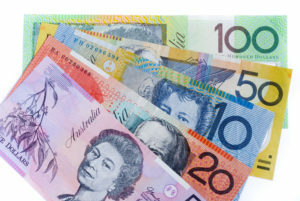 Direct Deposit – We automatically deposit your commission funds direct into your nominated account each month. Discount Vouchers that provide your contacts with special access to a Click Photography Course Lifetime Membership at a very special offer price. You will also discover that your dashboard provides you with an array of professional, pre coded, ready made Ads, Banners and Logos for you to easily use in conjunction with posts and shares on Facebook, Twitter, Pinterest or Instagram. 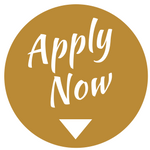 Complete your information in the application form below. Once your application is approved, there will be many ways you can let your contacts and others know about a special priced Click Photography Cpurse Membership offer. Email, Facebook , Twitter, Pinterest, Instagram and other social media channels are all avenues you are allowed to use to be successful. You even have access to our “ready made” adds, artwork and promotional videos on your own channels, pages, websites and blogs? You will be able to post our "ready made" adds, artwork and promotional videos on your own channels, pages, websites and blogs? You may also simply let your contacts know about the Click Photography Course offer, when you catch up personally, by allowing them to scan your unique QR discount code… (keep this handy on your phone). 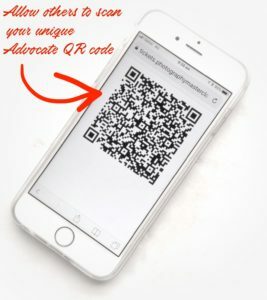 You may also publish a copy of your QR discount Code on social media. When scanned by your contacts it will take them direct to the Click Photography Website website where their visits and membership purchase will be automatically tracked in the background. 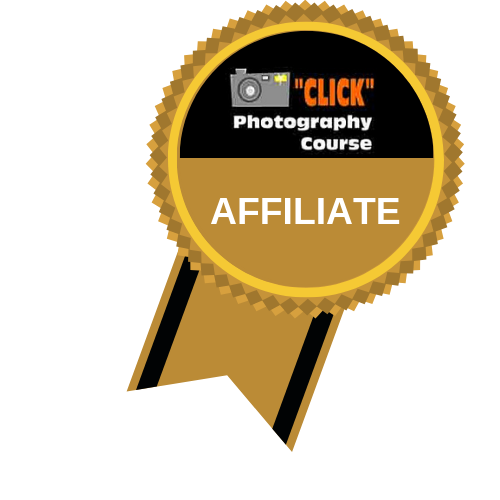 Yes, when you are accepted as an official Affiliate of Click Photography Course you'll have special authority to help your contacts enjoy the benefits joining the Click Photography Course at an exclusively discounted price. Your generosity and thoughtfulness is sure to be appreciated as the savings you are able to offer will be extremely attractive. The Click Photography Course Affiliate program can provide you with many opportunities to generate an extra income stream. It's totally up to you how actively you wish to participate. Whilst some have seriously embraced this as a business venture, others have used participation as a club fundraiser, with the proceeds being donated to their cause. All this, whilst providing encouragement and a way to assist people to improve their joy and understanding of photography. 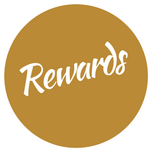 Even more rewards await you! For you, we know as well as helping others to improve their photography, your rewards will be important! To congratulate you on your ongoing success, you will also receive status upgrades and even higher payments when you achieve. You start out at the SILVER level with commissions at a whopping 30%, however the moment you obtain a total of only 50 successful referrals, your membership will be instantly upgraded to PLATINUM AFFILIATE STATUS! This means your ongoing benefits will now increase to 50% of all membership fees. Yes, your commissions on all further membership sales will increase to an exciting 50%. This increase percentage will apply to all future sales you’ve referred, so you’ll now receive $25 for each successful referral you make! 100 successful referrals means you'll receive $2,500.00! By achieving this every month…. you would receive over $30,000 per year! and applications will close in a matter of days. So, please make sure you don’t miss out on this opportunity and join the CLICK Photography Course AFFILIATE Program and get started right away. Click 18 Module Photography Course is for all photography enthusiasts.... of all ages.... and for all camera types.